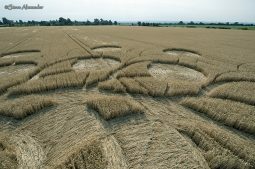 Details: This circle was first publicly reported on the evening of Sunday July the 15th, but had apparently appeared at least the day before on the 14th (often times we only know the date the circle was first reported, rather than when it first appeared). 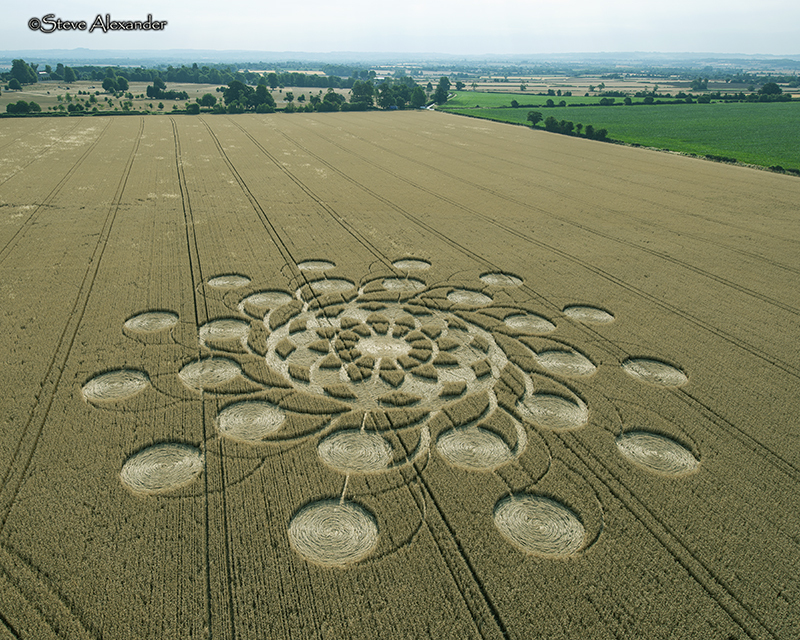 It is located in a field close to the village of Kingweston, near Somerton in Somerset. 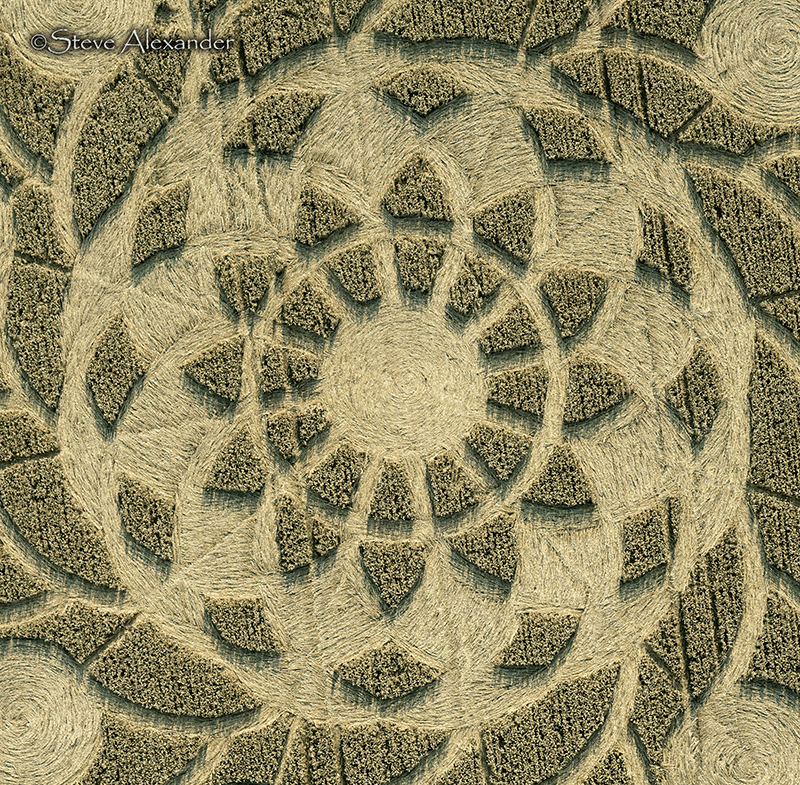 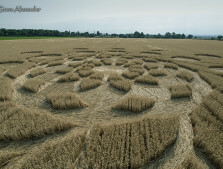 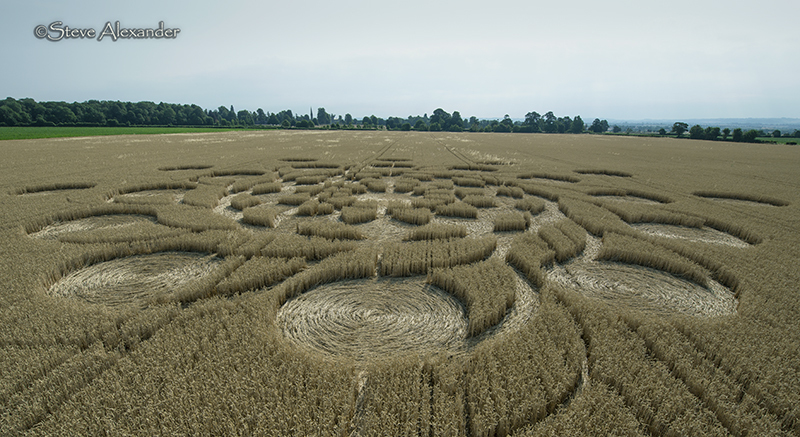 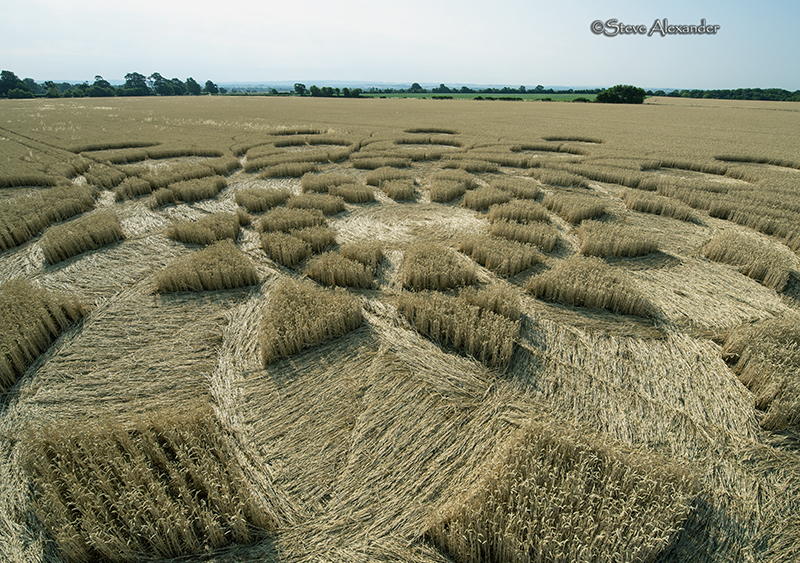 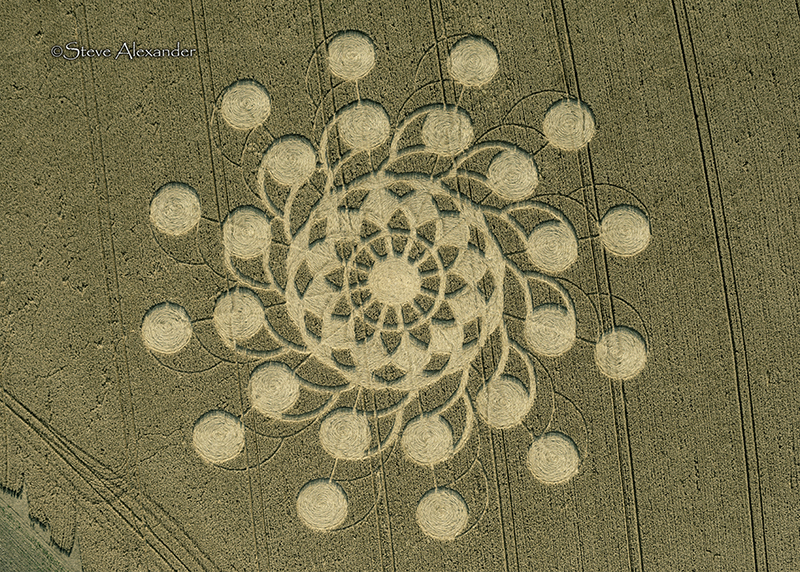 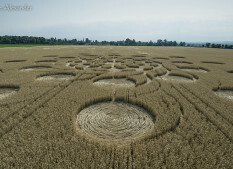 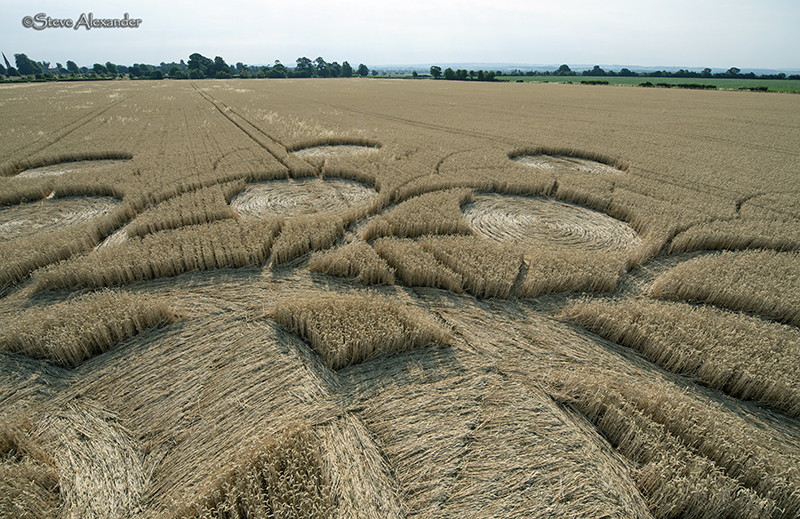 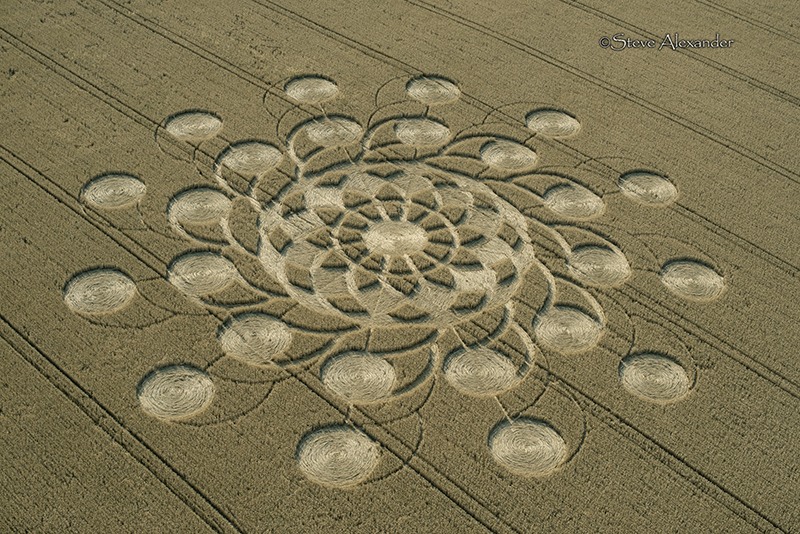 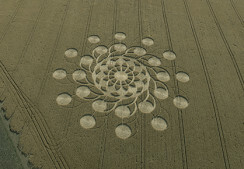 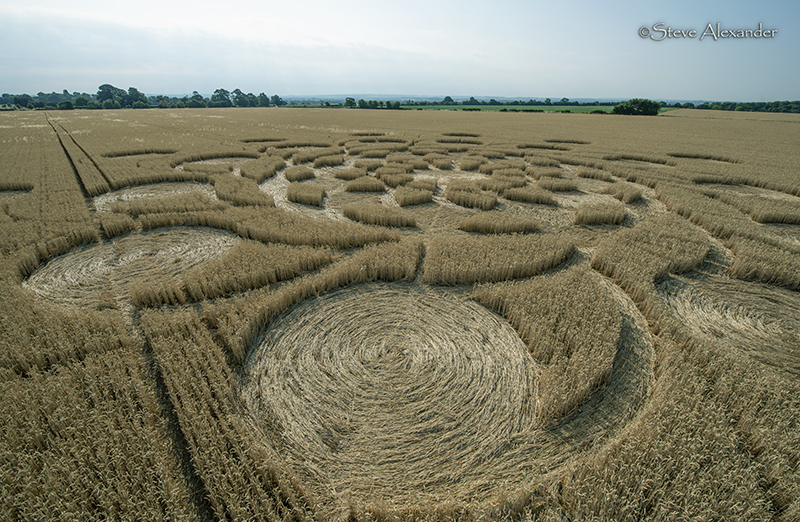 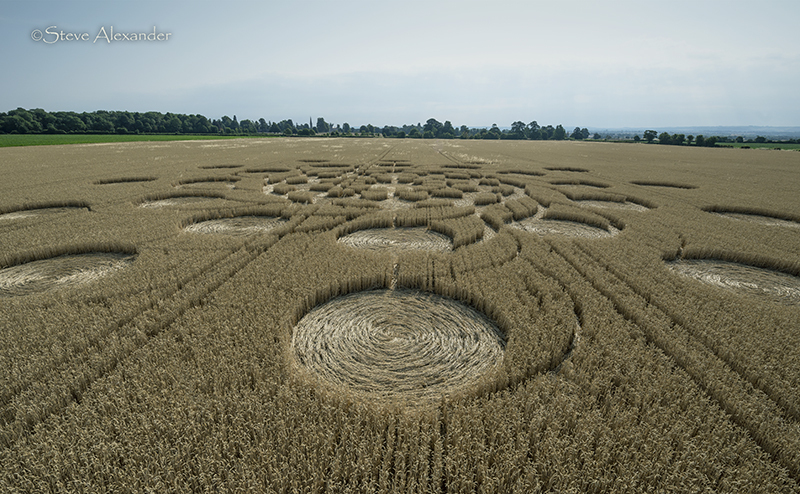 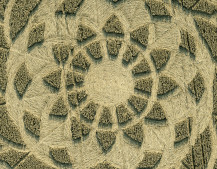 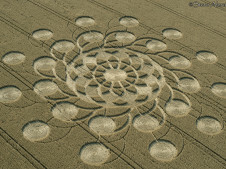 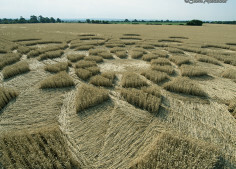 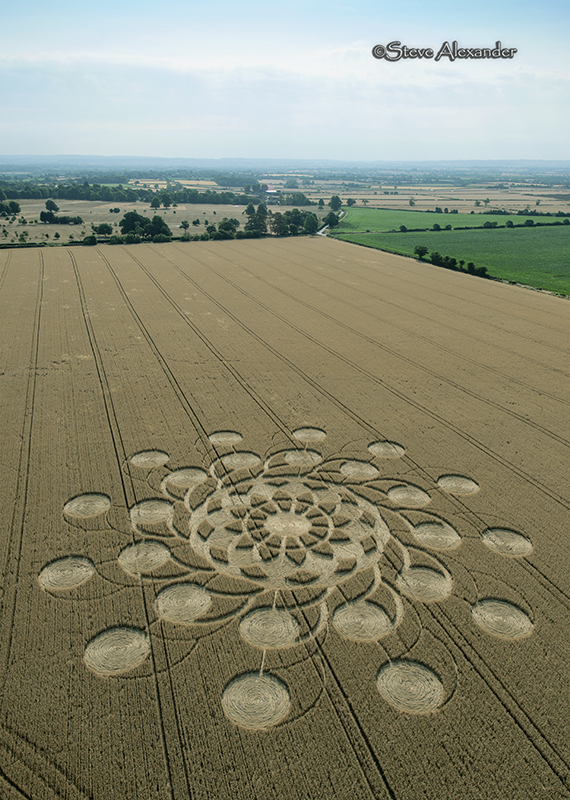 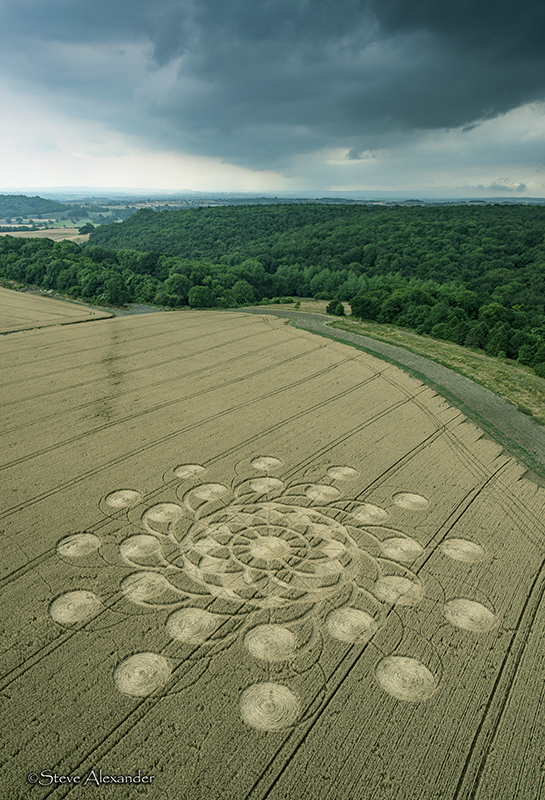 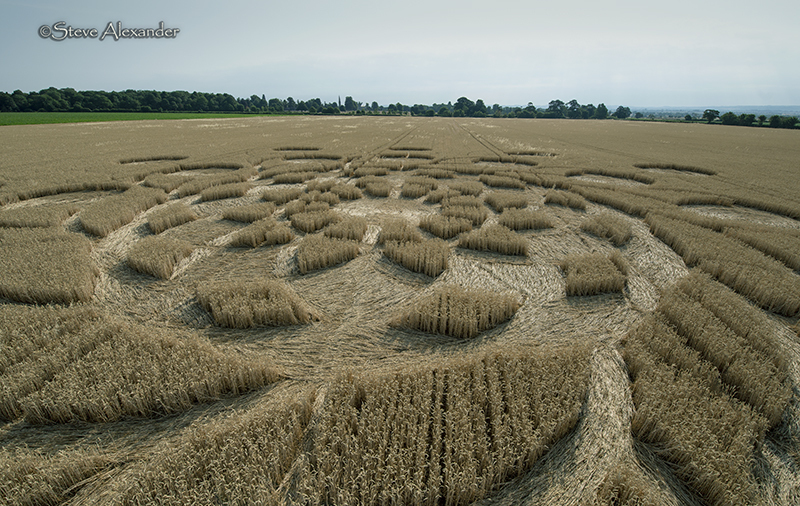 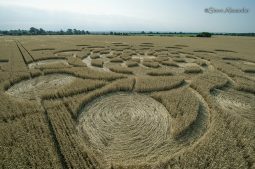 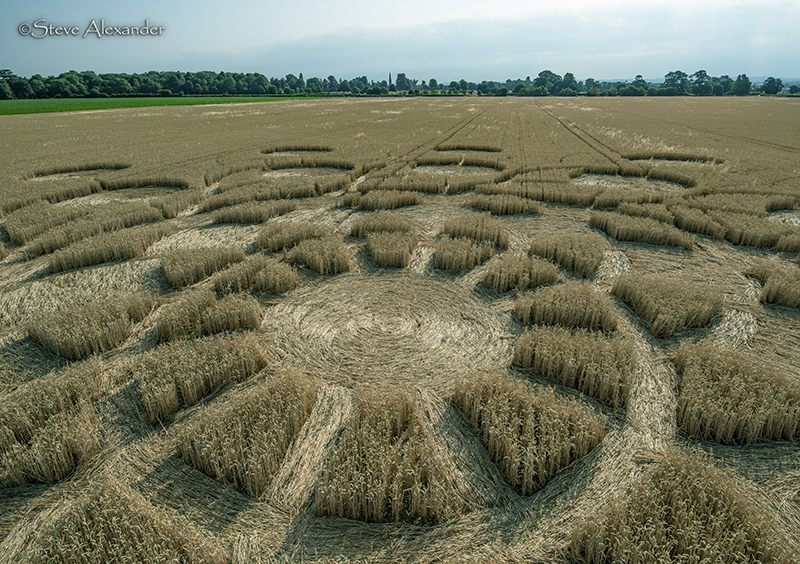 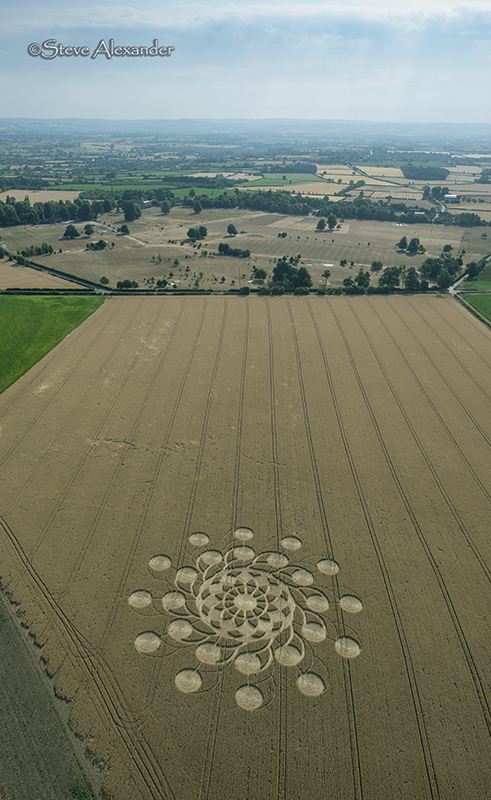 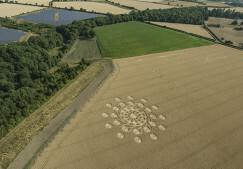 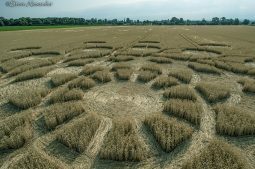 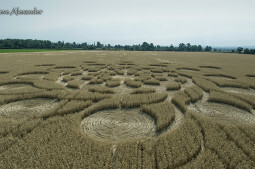 The circle is in a field of mature wheat and measures approximately 350ft in diameter. 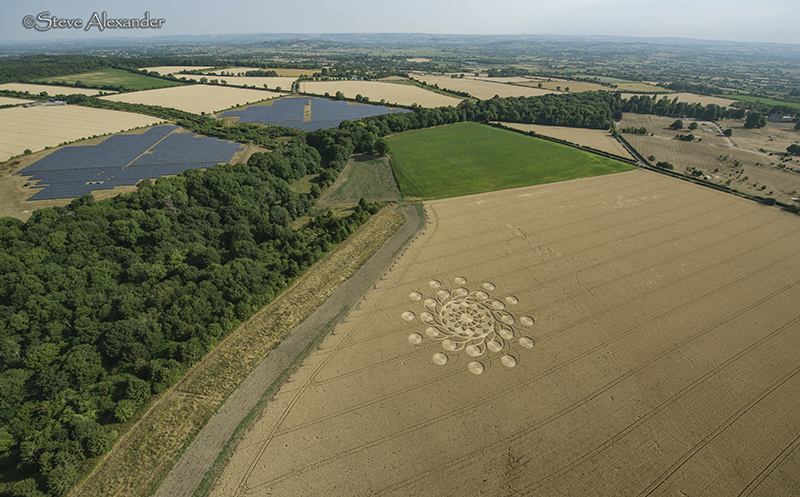 Location: As mentioned above, this circle is located near Kingweston in Somerset. 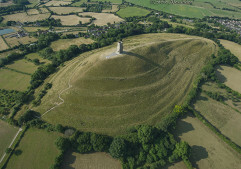 As we flew over the formation, Glastonbury Tor could clearly be seen towering above the Somerset Levels floodplain. 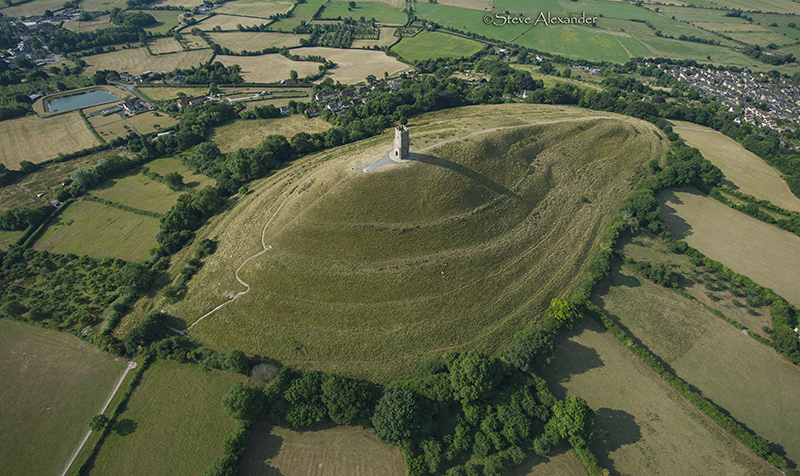 While the circle is not located at Glastonbury itself, this area of the UK has long been seen as sacred ground, the first Christian Church was reputedly built here and the Arthurian Legends have flourished here for hundreds of years. 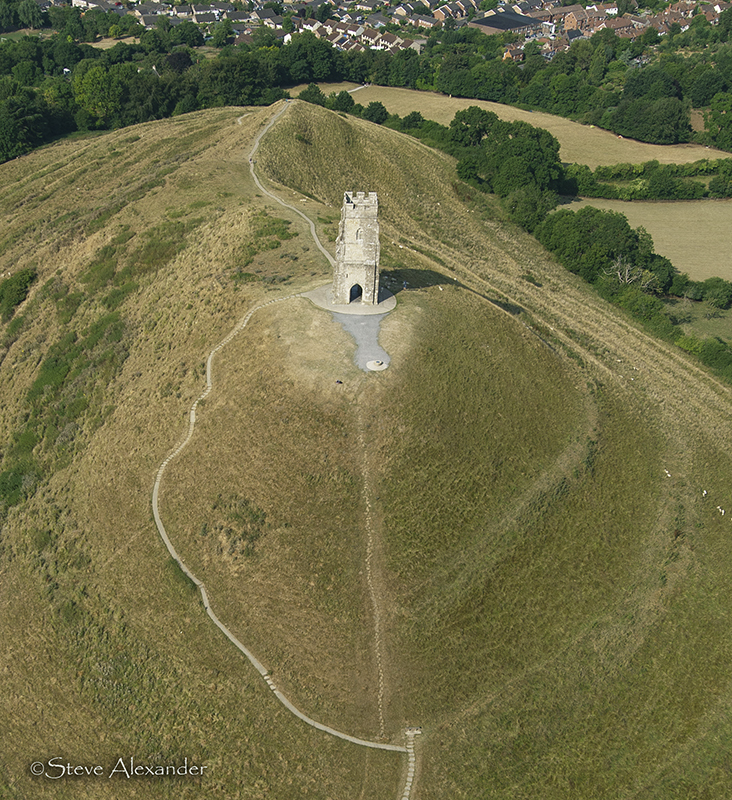 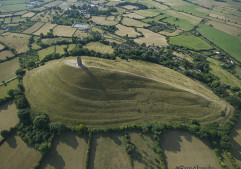 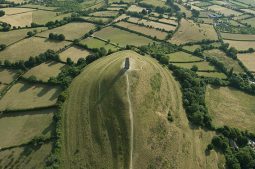 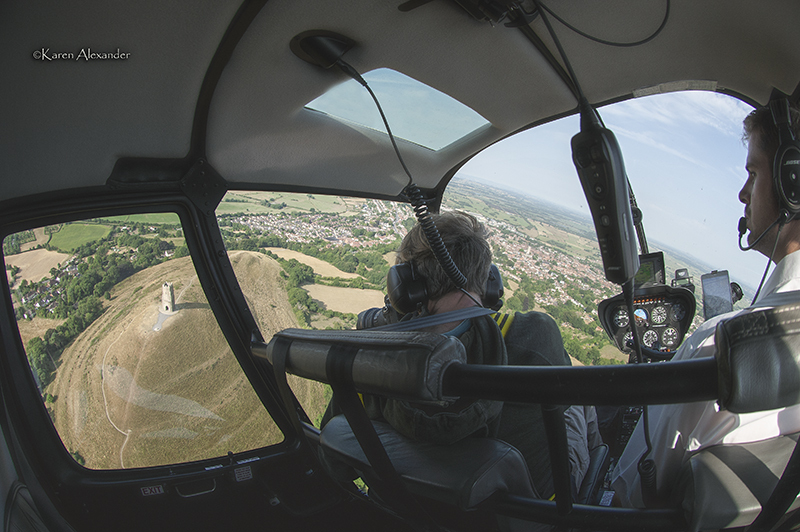 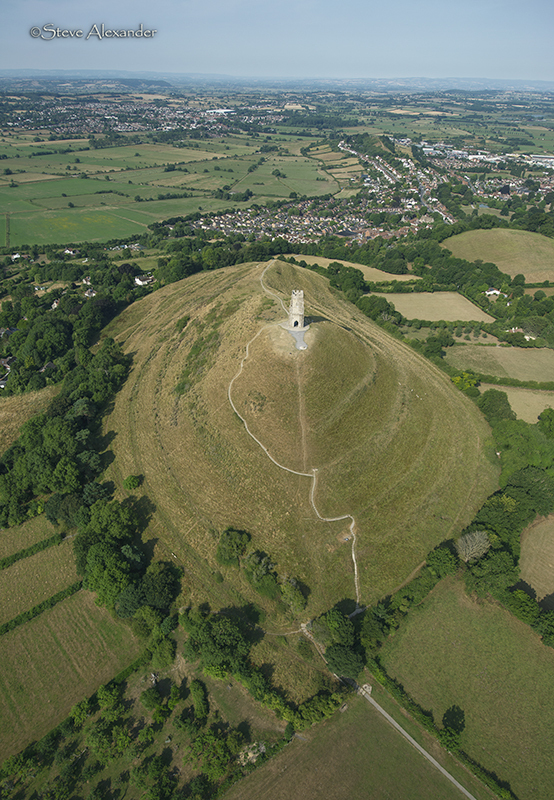 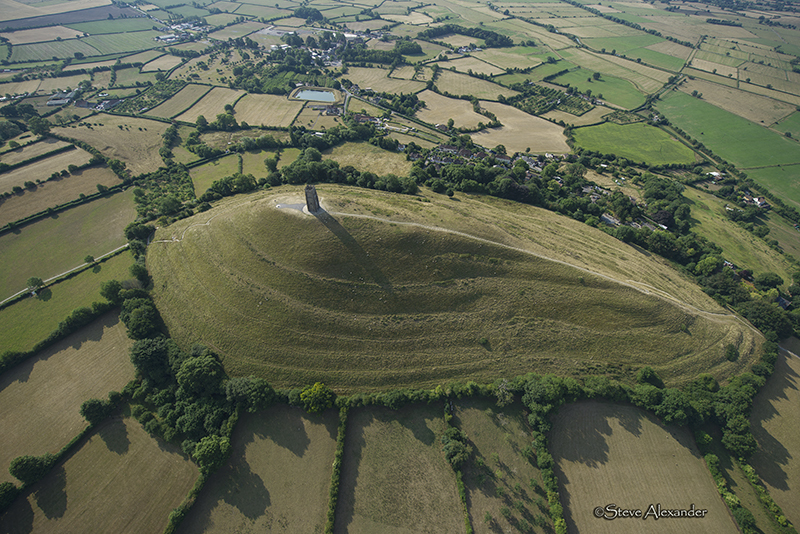 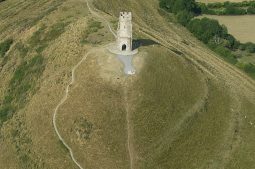 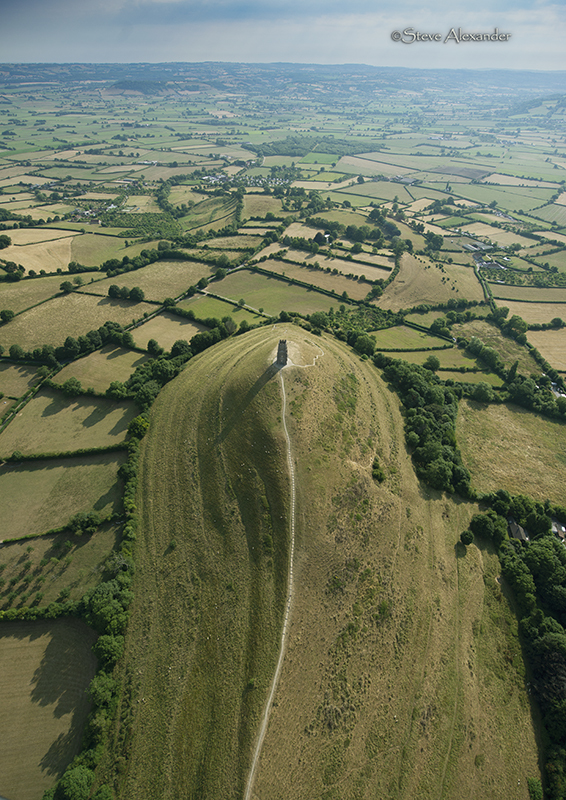 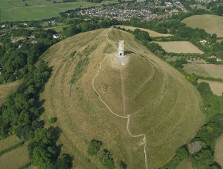 We were very fortunate to be able to photograph Glastonbury Tor on this flight – see our pictures in the gallery below. 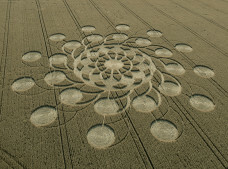 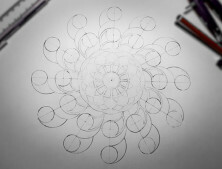 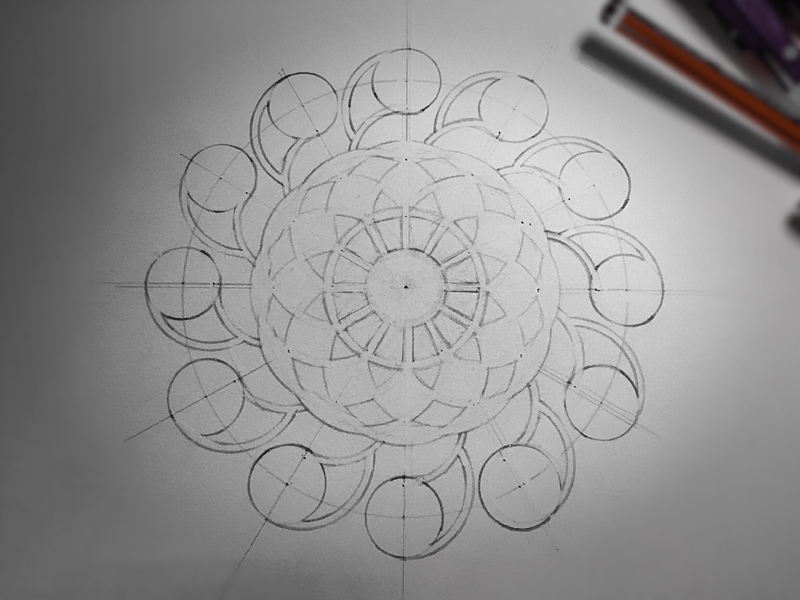 Design & Symbolism: As this circle is clearly 12-fold in nature (the central circle is split into 12, and then has 12 emanating arms), it has drawn the obvious interpretation of being some kind of clock. 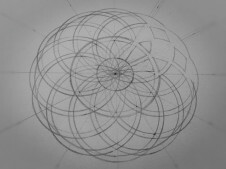 However, if it is a clock, it seems there is no real way to tell the time as each of the 12 arms are the same. 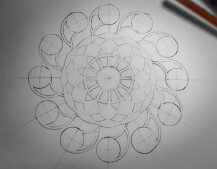 So what is the function/purpose/meaning of a clock that doesn’t tell the time? 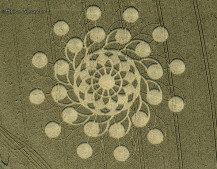 On a broader level 12 is a number that is intimately woven into our culture in all kinds of ways. 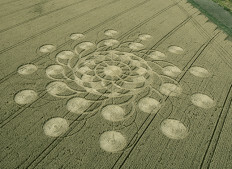 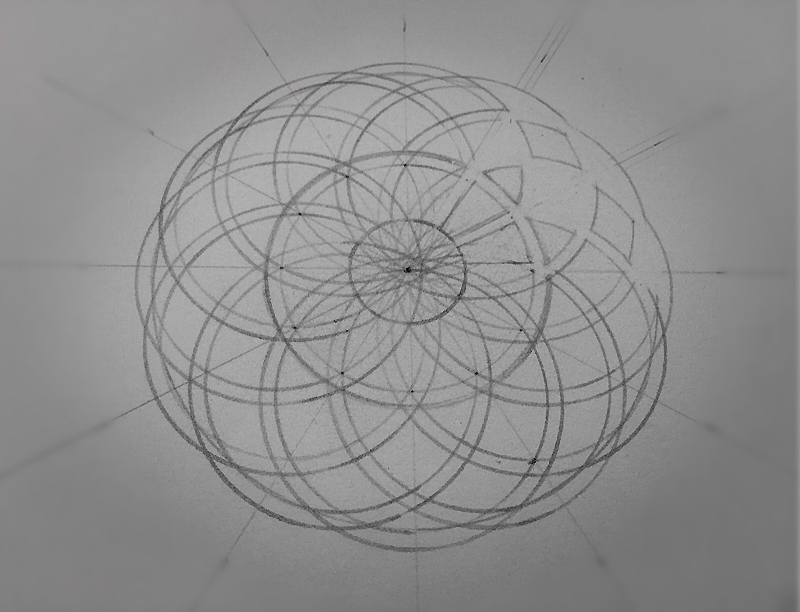 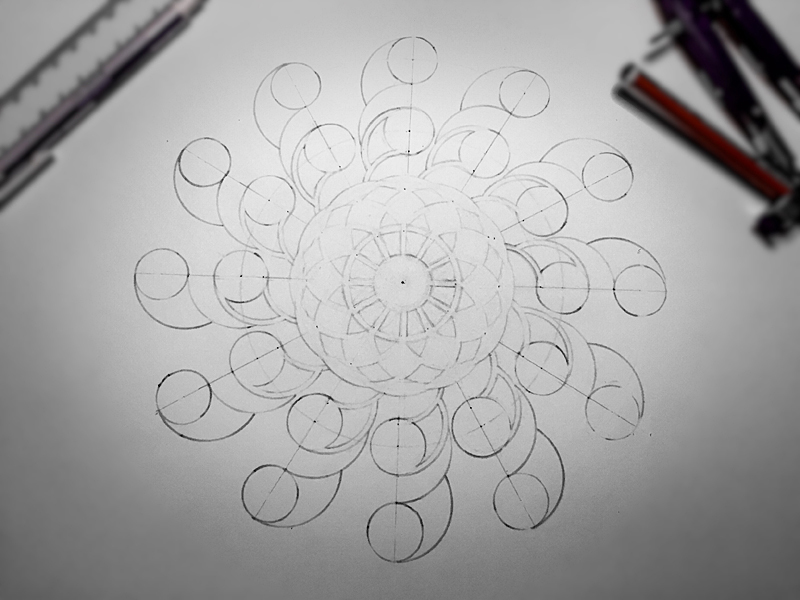 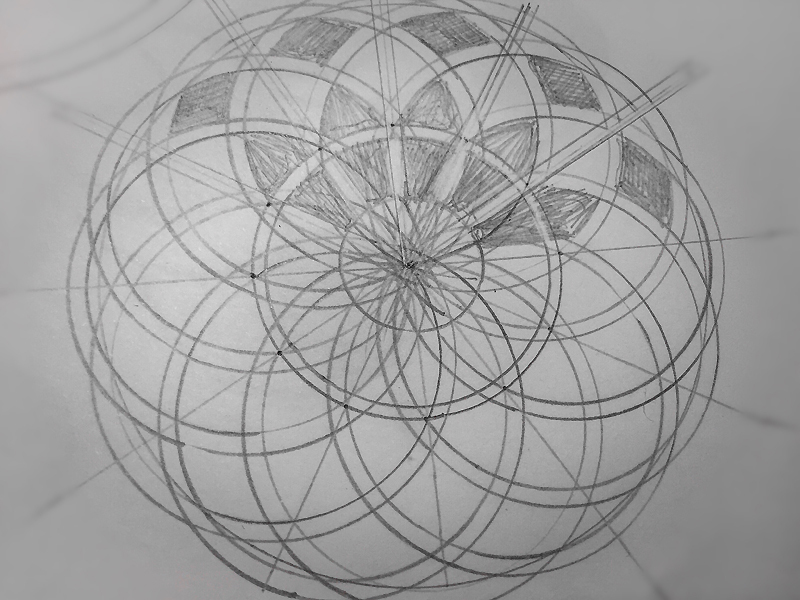 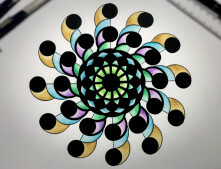 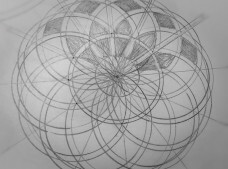 It symbolises totality and (like the number 1) a sense of wholeness. 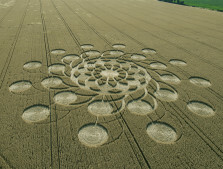 Its relationship with time is obvious; our days and nights are divided into 12 hours each, our year has twelve months, the heavens are divided into twelve constellations (Zodiac), but then we also have groupings of 12 – the 12 disciples, the 12 tribes of Israel, and then there are 12 labours of Hercules and the 12 major and minor notes that make up the ‘whole’ musical scale. 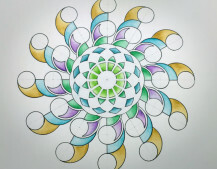 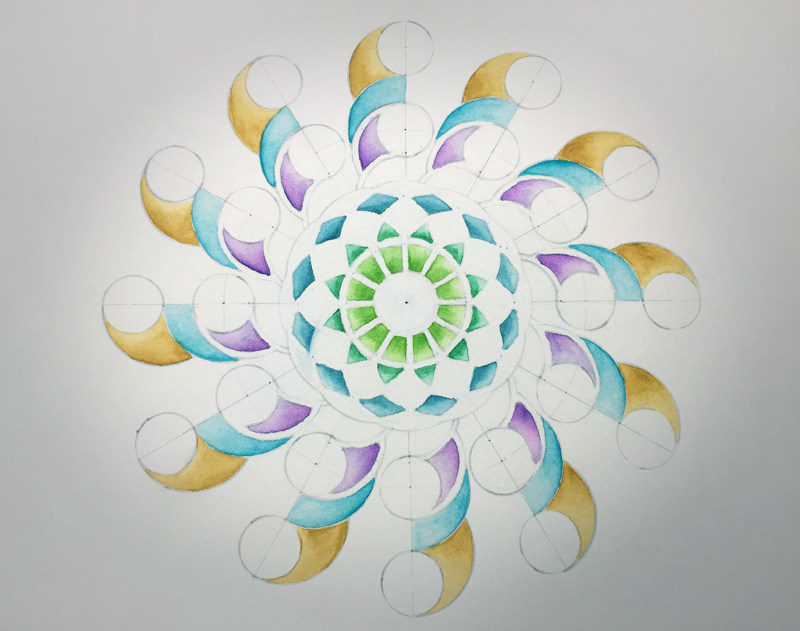 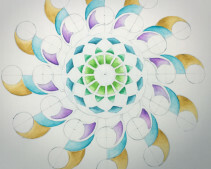 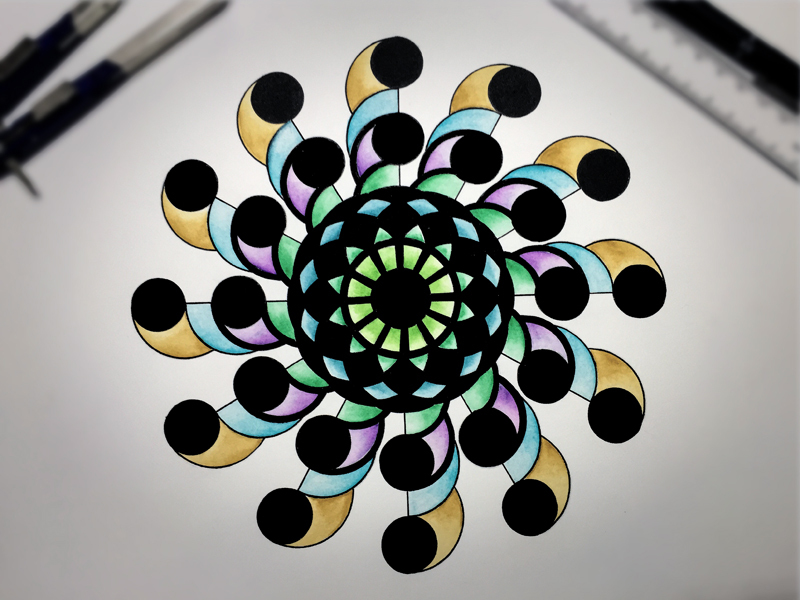 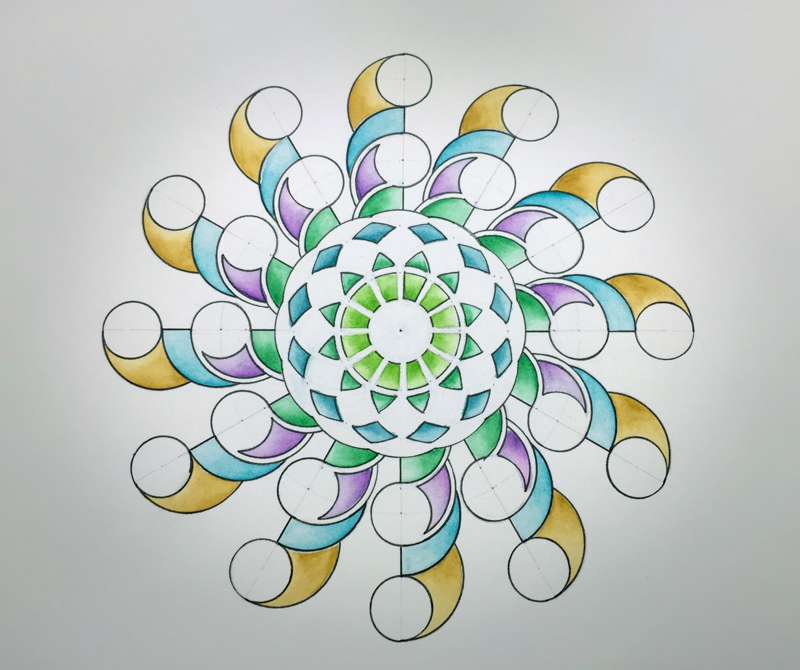 There is a sense of wholeness and competition to all of these expressions of 12 and perhaps this is why 12-fold patterns are so satisfying to look at. 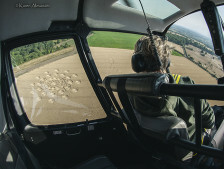 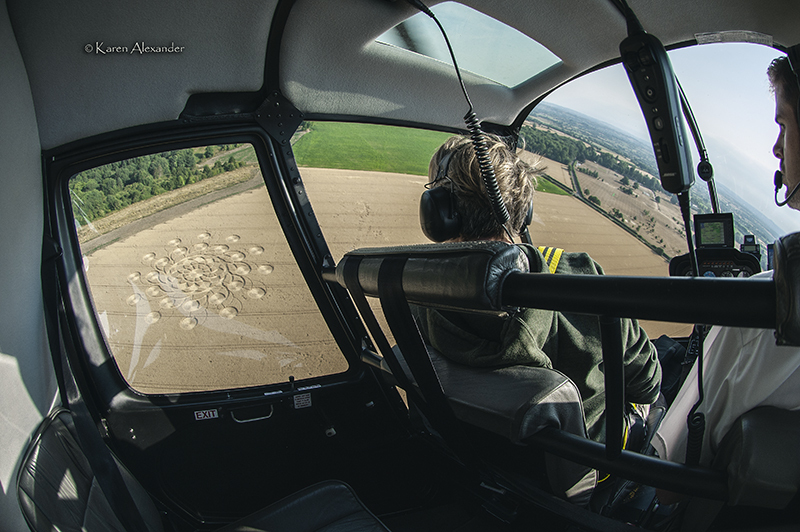 Flight: You’ll see in the gallery below a landscape image taken in dull weather and how, although quite atmospheric, good strong sunshine is essential for good crop circle photography!